Home Knowledge base User Guide to CS-Cart "HTML5 Product Designer" add-on How to calculate the Ratio correctly? 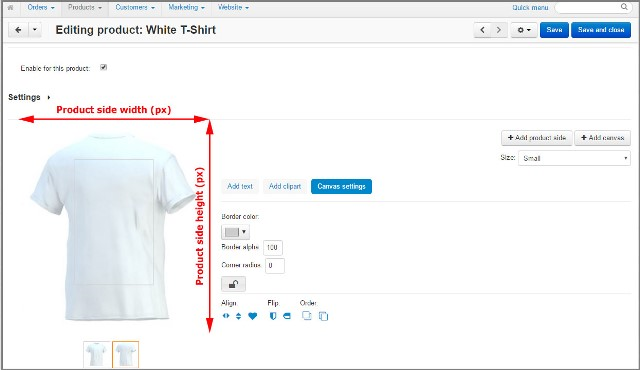 How to calculate the ratio for a t-shirt (example). The ratio is a way of showing the relative sizes of two or more values. In HTML5 Product Designer add-on the Ratio - is used to specify the relation between the real size of the product and the product size on the screen. The correct size of an image which you will get for printing depends on your correct ratio calculation. In brief, Ratio shows the number of the units of length in pixel for a current product. So, please, be very careful reading this part of the user guide. 1. The real dimensions of your product - width and height in inches or millimeters. Define the unit of length, which is the most comfortable for you and specify it in the General options of Product designer (Add-ons -> Manage add-ons -> HTML5 Product Designer add-on -> Edit). Please note! For correct ratio calculation, your real product and the image of this product should resemble each other. It means that the image should be a smaller copy (photo) of a real product. Note! It is possible to use only five digits after the decimal point for Ratio in Product designer that is why all final calculations which you will see after adding a canvas will have a little inaccuracy. Take a real t-shirt where you will print design and measure it. See the picture on the right how to take measures. Note! Since t-shirts have different sizes "S", "M", "L", etc., and if you have one product for personalization with the "Size" option to choose, it is better to take the biggest T-shirt as an etalon to measure the real dimensions. In that case, it won't be a problem for us to adapt a printable image for smaller t-shirts. 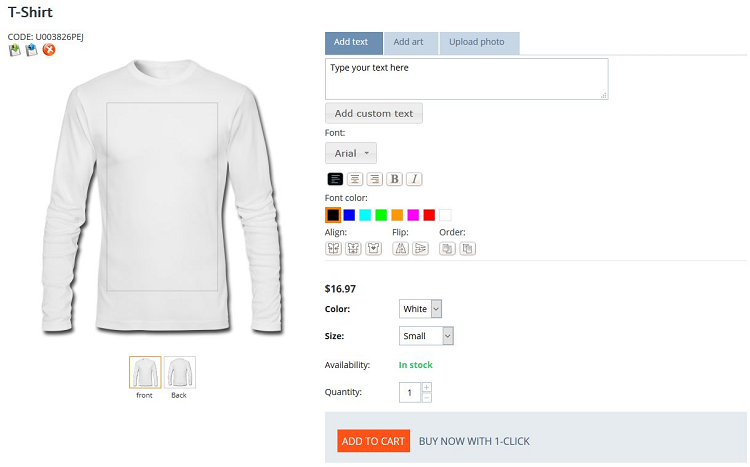 Or you can make separate products for every t-shirt size. 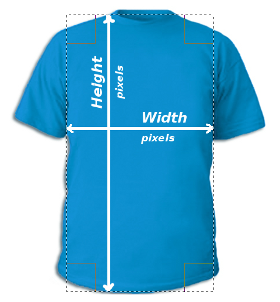 We've made a t-shirt image in a photo editor tool (we have used Adobe Photoshop), outline the essential area with a rectangular tool and got the necessary dimensions (they are shown automatically in a photo editor). Now, let's calculate the Ratio. Our default unit of length is millimeter. The formulas that mentioned in this article work excellent not only for t-shirt ratio calculation but for any other products like bags, pillows, shoes and etc. You can get the exact Ratio for such small products like smartphone cases, mugs as usually its digital dimensions and real dimensions coincide.